Should I send Christmas cards or are they a thing of the past? 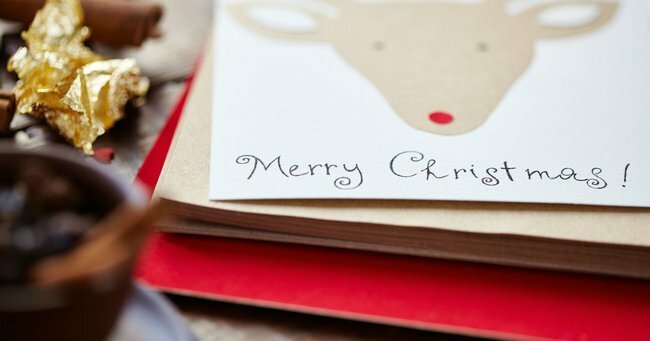 Australians are overwhelmingly abandoning handwritten Christmas cards in favour of emails, social media and text messages to send their season’s greetings. “The huge cost of postage has made this tradition less popular,” Gillian said. “$50 in postage before I count the cost of stationery,” Tex said. “I stopped sending Christmas cards years ago and now write an annual Christmas/New Year’s letter which I email. It’s far less wasteful and [more] cost-effective,” Elise said. While regular letter stamps now cost $1, the price of card-only stamps is 65 cents — but for some the effort remains too much. “It’s not just the postage but the purchase, the writing (which I quite like doing), the stamp placing, and the walk to the PO again,” Annastacia said. Each letterbox across the country has received 43 per cent fewer addressed letters since 2008, which Australia Post attributes to digital disruption. Doris, who has been a postal worker for the past 18 years, said she was delivering far fewer Christmas cards now than when she started her career. “I find it really sad,” she said. Other talkback callers agreed, saying analogue greetings meant so much more. “Electronic Christmas cards are offensive to me,” Anne said. “I send them to family and close friends even if we are connected on Facebook and Instagram,” Bec said. And although Australians are sending fewer letters than ever, they are making up for it by embracing online shopping. Australia Post estimated that today — December 12 — would be its biggest delivery day in history, with more than 2 million parcels expected to be moved in one day. Online shopping has increased by 15.9 per cent this year, and almost 30 per cent of all purchases are made online in the three months leading up to Christmas. Fashion, toys and games were the most popular items, Australia Post executive general manager of parcels Bob Black said.